Put a link to a new version. I found myself needing the rotated text. Not sure the image rotation was needed (easy enough to do in almost any image app), but it was fairly straight forward. I have code to avoid the clipping, just got to find it. Left original version up just in case I introduced some bug into this version (it's late). Will put source up tomorrow (later today). Thanks! I think by the time mine gets here Tues I will be ready to do some things with your help! Just a little bug report. I haven't tried v1 but on v1.1 the image preview does not exactly match the resulting image when saved. It's just a couple pixels off from both top and bottom sides and left and right sides. It's easy to work around and this is a great app you have created. 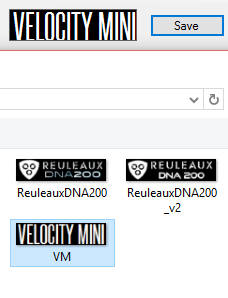 Now I can make all my Steelfish font themes without messing with paint over and over! Good catch. I think that is a rendering vs image creation issue. I believe I know how fix it... will take a look Thanks! Your efforts are greatly appreciated. You're terrific for doing this Mikla! Mirror on my German and English DNA200 Theme page . Thanks to Mikla for permission ! sweet...thanks for creating this! will have to try it out. You are awesome! This was such a great idea and such a selfless act on your part to take time to create this just for the good of this community. You set a good example for everyone in hopes we all contribute what we can to make this community better as a whole. We all have something to contribute, no matter how big or minuscule it may seem. Thanks for your time Mikla, really appriciated!